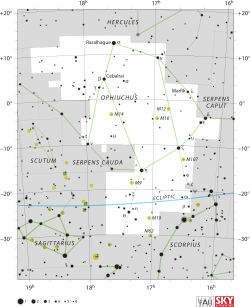 RS Ophiuchi is part of a class called recurrent novae, whose brightness increase at irregular intervals by hundreds of times in a period of just a few days. 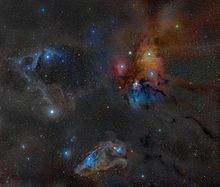 It is thought to be at the brink of becoming a type-1a supernova.Barnard's Star, one of the nearest stars to the Solar System (the only stars closer are the Alpha Centauri binary star system and Proxima Centauri), lies in Ophiuchus. 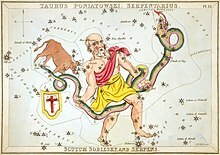 It is located to the left of β and just north of the V-shaped group of stars in an area that was once occupied by the now-obsolete constellation of Taurus Poniatovii (Poniatowski's Bull). In 2005, astronomers using data from the Green Bank Telescope discovered a superbubble so large that it extends beyond the plane of the galaxy. 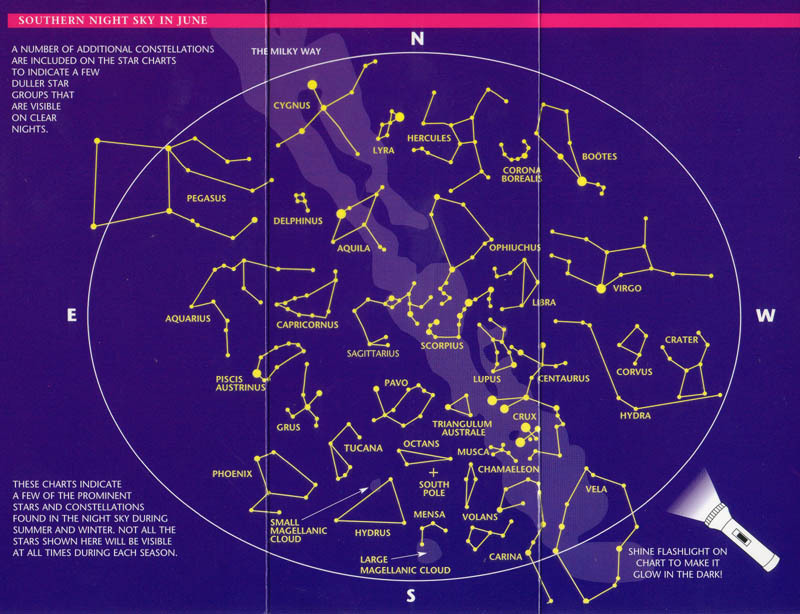 It is called the Ophiuchus Superbubble.